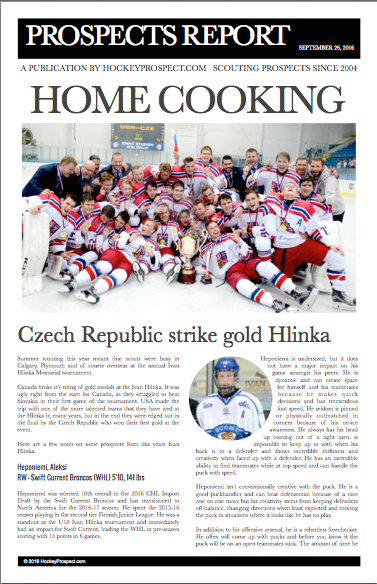 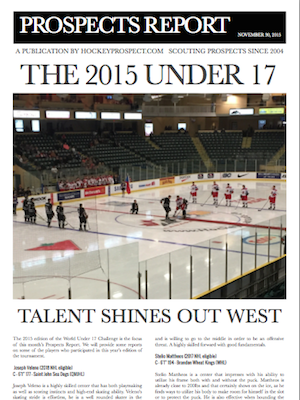 Our January 2016 edition of our Prospects Report (pdf). 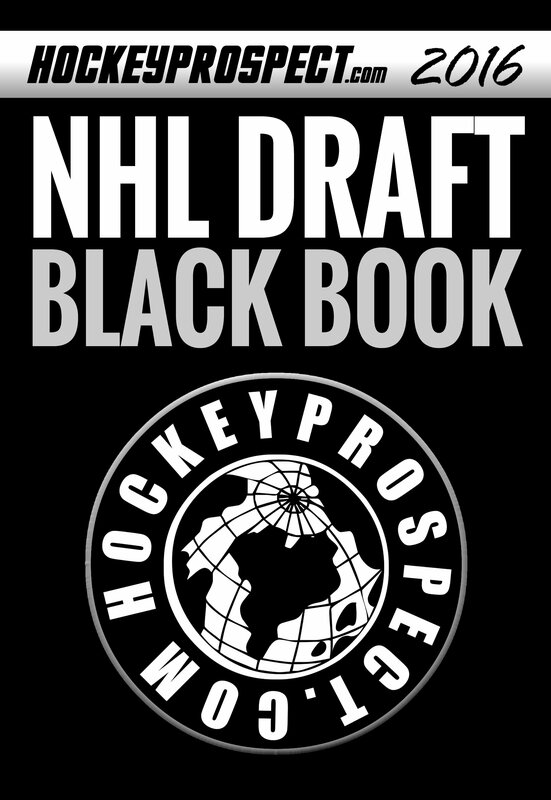 This is a 12 page document. 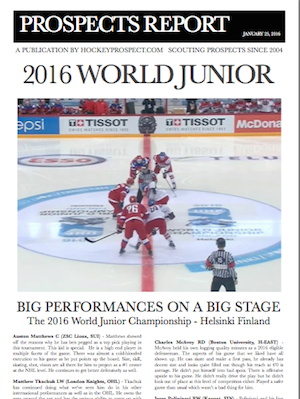 This month includes a look back at the 2016 World Jr. Championship, plus OHL Draft and QMJHL Draft content. 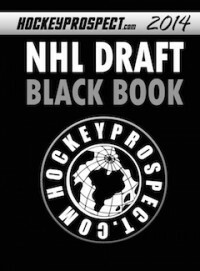 The report also includes game reports and a ranking of our top 60 2016 NHL Draft prospects. 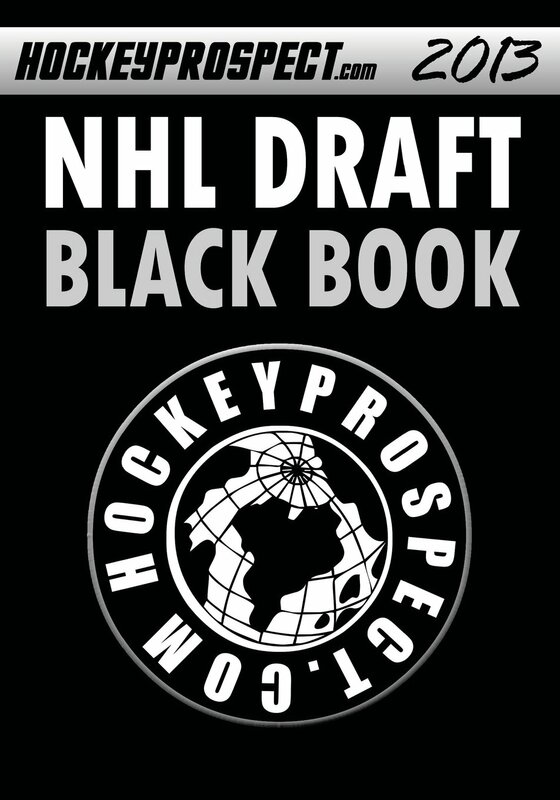 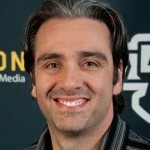 **This report and 3 other editions are included FREE with our Platinum Pass membership.